It’s almost time for the Circus to come to town around here! The kids are excited and can’t wait! The circus is so much fun, if you can get over the stink that comes along with animals. 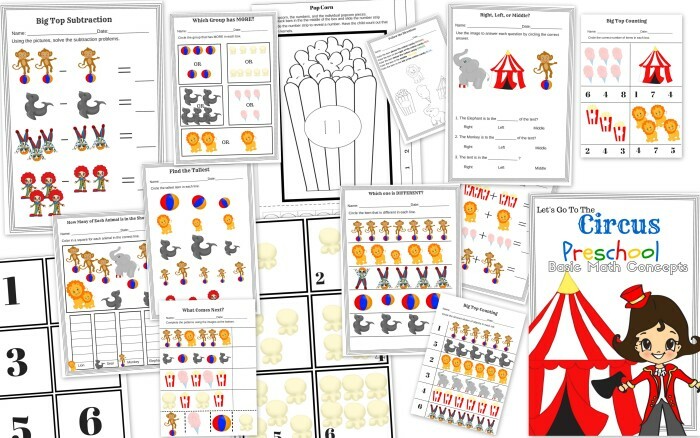 Here is an educational pack that I made to go along with the excitement of the Circus. As you can see we made another new clip art style, this style my daughter calls the “cute” style. 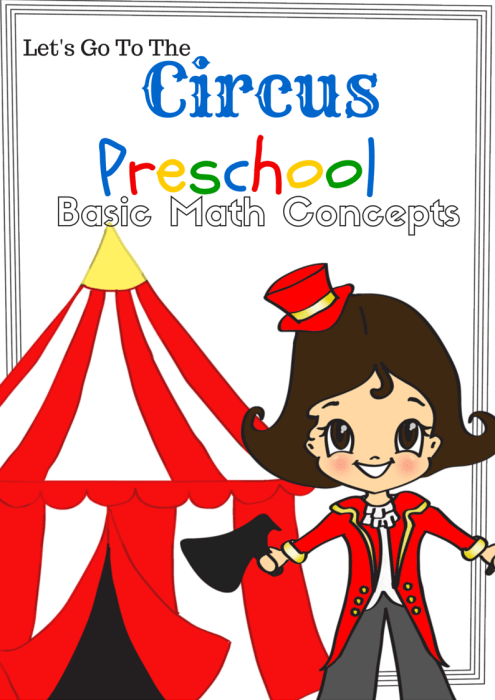 This is a free preschool basic math educational downloadable pack with a circus theme. There are 15 pages of activities, worksheets, and cuteness. The Pop Corn Game which is a counting game. There is one page with all the pieces. A popcorn box, a paper strip, and some popcorn kernels to cut out. To play cut the little lines in the middle of the box and slide the strip through. Then have the child count out that many of the kernels. Game two is a two way game. You can cut the boxes out and use them as a matching game or you can pop real popcorn and have the child lay a piece on each kernel.